The UK has, in recent years, undergone something of a scandal. Unlike in the majority of US states, private investigators were not required to have a license, and as such anybody could easily obtain tracking devices and other technology with which to track people. In a country which is often said to have a remarkable number of national newspapers given its size, the News of the World (NoTW) was one of the most-read. 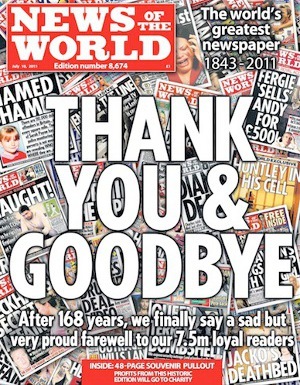 ‘Tabloid’ in style, the NoTW featured articles on lifestyle and celebrity culture until it chose to close down in 2011. It didn’t close because of a lack of money or dwindling sales. It closed as a result of the ongoing phone hacking scandal which has – it is generally accepted – cast a large shadow on the British media industry. In 2009, it was revealed that NoTW journalists had illegally gained access to the voicemail accounts of hundreds of people who the newspaper was interested in. Probably the most shocking revelation – and the one which was perhaps ultimately lead the decision by News International, the NoTW’s owner, to shut the paper – was that the NoTW had accessed and deleted messages from the mobile phone belonging to Milly Dowler. Milly Dowler was a 13 year old British high school student who went missing in 2002, in a story which was front page news for several months. Dowler was later found murdered, but it was not until 2011 – after the tampering of her voicemail had become apparent – that her killer, Levi Bellfield, was tried, found guilty and sentenced to life in prison. Quite simply, there have been far too many revelations coming out of the British phone hacking scandal to list in this article. Those who have been on the receiving end include – but are not limited to – the Metropolitan Police (London’s police force), the relatives of British soldiers, relatives of victims of the 7/7 London terrorist attacks, senior members of the Royal Family and numerous high profile celebrities. It was – and still is – a scandal. It’s a story that has dominated the news in the UK, and the government has unsurprisingly reacted strongly. In July 2011, the same month as the News of the World published its final edition, the government appointed the judge Lord Justice Leveson to chair an enquiry into the practices and culture of the British press. The Leveson Report was finally published in November 2012, finding that the organisation which existed to oversee British media outlets, the Press Complaints Commission, was inefficient. The report recommended a new independent body be set up which would have a range of sanctions available to it, and while membership of the body would be voluntary, there would be incentives. But the report was met with a few raised eyebrows. Many said it didn’t go far enough, and many questioned what exactly Lord Justice Leveson had been doing in the sixteen months the enquiry was live. The core of any training regime for investigators ought to be knowledge of the Code of Conduct and the legal constraints that govern the industry. Even today, journalists are being charged with phone hacking. So the news that private investigators are to be licensed by the Security Industry Authority (SIA), as was announced by Theresa May, the British Government’s Home Secretary, has been welcomed from many corners – not least by private investigators. The SIA is an independent body, set up by the Government under the terms of the Private Security Industry Act 2001. 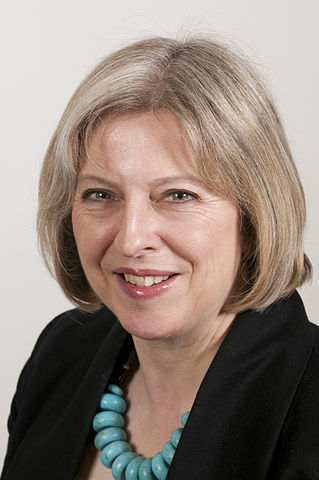 Theresa May told Parliament in July this year that it was far too easy for people to access technology that could be used for investigative purposes, and that being a competent investigator does not mean being a conscientious one. May recommended that “the core of any training regime for investigators ought to be knowledge of the Code of Conduct and the legal constraints that govern the industry,” adding that contravention of data laws should result in a license being suspended. The British private investigation industry has, to put it lightly, had its reputation battered over the last few years. Tell the ordinary man in a British pub that you’re a private investigator and eyebrows will immediately be raised. But the vast majority of private investigators would not consider acting dubiously, by hacking voicemails or accessing private medical records. It must be stressed, too, that the majority of private investigators in the UK are delighted that the industry is soon to be regulated. Naturally, since the announcement by Theresa May, debate has ensued as to what it will take to get hold of a license, and what this will mean for the industry in the long run. Many British private investigators have suggested their country adopt the system of ‘grandfathering’ that is common here in the US, allowing those with years of experience a license without the need to sit a test. Then, on the other hand, many private investigators here in Britain are against grandfathering and suggest a level playing field for all. It has been suggested also that those wishing to become private investigators after leaving or retiring from the police force will have to wait a minimum 12 months before they can apply for a license. The reason for this is to distance the relationship between private investigators and those still working within the police. The vast majority of private investigators would not consider acting dubiously, by hacking voicemails or accessing private medical records. It must be stressed, too, that the majority of private investigators in the UK are delighted that the industry is soon to be regulated. Others have questioned the fact – as stated in Theresa May’s report – that police work may well fall to private investigators once the licensing is introduced from fall 2014. May has acknowledged that this is a point that may NOT be welcomed, and that will need further debate. As with any change in the law, there are issues that have been raised and questions that will need answering. But the private investigation industry in the UK is arguably at its lowest point. Despite there being three trade associations for private investigation agencies, all of which have a disciplinary procedure in place, it’s clear that more had to be done. Introducing licenses will undoubtedly go a long way to restoring the industry’s very damaged reputation. UK Private Investigator and Founder of North Court Investigations Matt Thomas. Matt has been practising as a private investigator in the UK since 2002.During this time he has become a prominent and well known individual within the industry. He is a past Governing Council Member of the World Association of Professional Investigators, before later being voted in as Vice Chairman of the Association. He is currently a proud, Full Member of the Association of British Investigators. 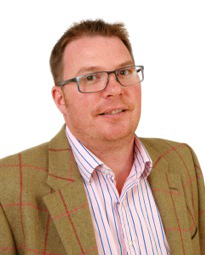 He is often invited to discuss the industry on BBC Radio, he has also appeared in BBC TV and just recently appeared on ITV Daybreak on the very day licensing was announced in the UK. Follow Matt on Twitter.